Welcome to the Nanofabrication Toolbox – a comprehensive suite of products designed to facilitate your research and product development with nanoporous Anodic Aluminum Oxide (AAO) and nanotubular Anodic Titanium Oxide (ATO). 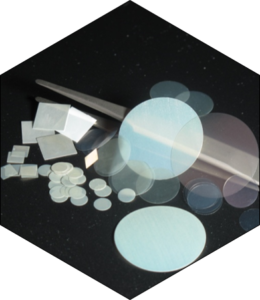 Here you will find AAO wafers, AAO nanotemplates and films, ATO films and wafers, along with convenient accessories and up-to-date technical information, to support diverse range of AAO and ATO application in materials science, nanofabrication, molecular separation, micro- and nano-filtration, chemical and biological sensing, life science, energy storage, energy conversion and many other areas. Read more to learn about nanoporous AAO and nanotubular ATO in the technology section of our website. Free-standing nanoporous AAO wafers with pores open on booth faces. 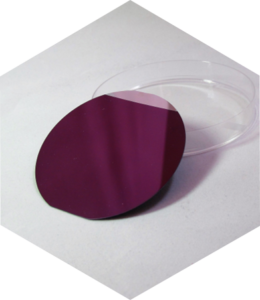 Economical AAO wafer packs with variety of pore sizes. Nanoporous AAO films/nanotemplates and Nanotubular ATO films on metal foil and other substrates (glass, sapphire, silicon, quartz, polymer, etc). 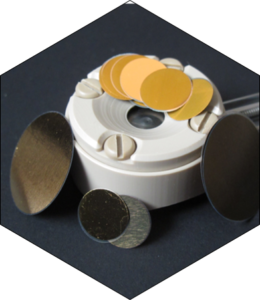 Tools and accessories for using AAO and ATO in templated nanofabrication, electrochemical and photoelectrochemical studies.